Want an eco-friendly way to charge your iOS or Android devices on the go? If you also lie bright colors, the following WakaWaka Power solar power station should be able to catch your eyes. 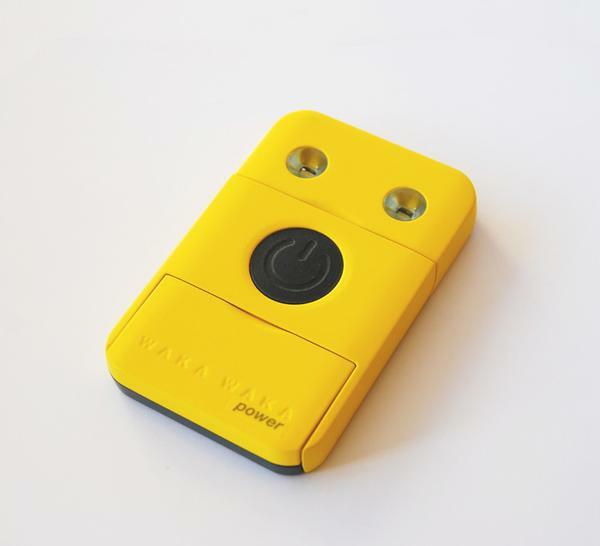 WakaWaka Power is a versatile, eco-friendly backup battery that measures 120 x 16 x 77mm and weights approx 200 grams. 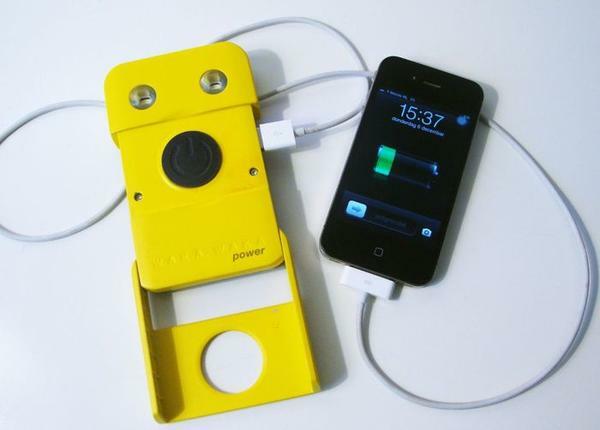 As we can see from the images, the backup battery features sleek pocket-sized design, and comes with a laminated solar panel measuring 67 x 100mm in order to charge the built-in rechargeable battery using solar power, and the integrated mini USB port also allows you to charge it via USB or wall outlet. The power station has a 2200mAh rechargeable battery, using USB port, you can use it to charge various mobile devices such as iPhone, iPad, Android smartphones and more, and the 5-LED indicator shows you the status of the backup battery. Apart from that, the power station also feature 2 super bright LED lights, with the help of the integrated stand, you can conveniently use the backup battery to illuminate in the dark. 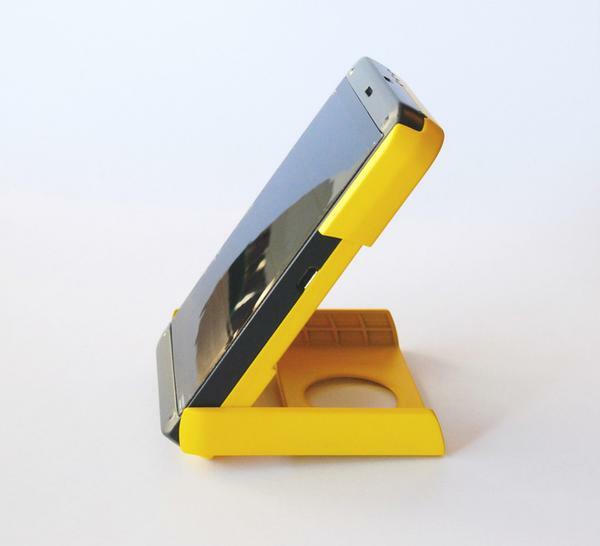 At present, the inventor of WakaWaka Power is raising fund at Kickstarter. Pledging $49 will let you own the solar backup battery. If you’re interested, jump to Kickstarter official site for more details or check out the following demo video first.